It was a huge show filled with troupes, students and raqs stars throughout the south. 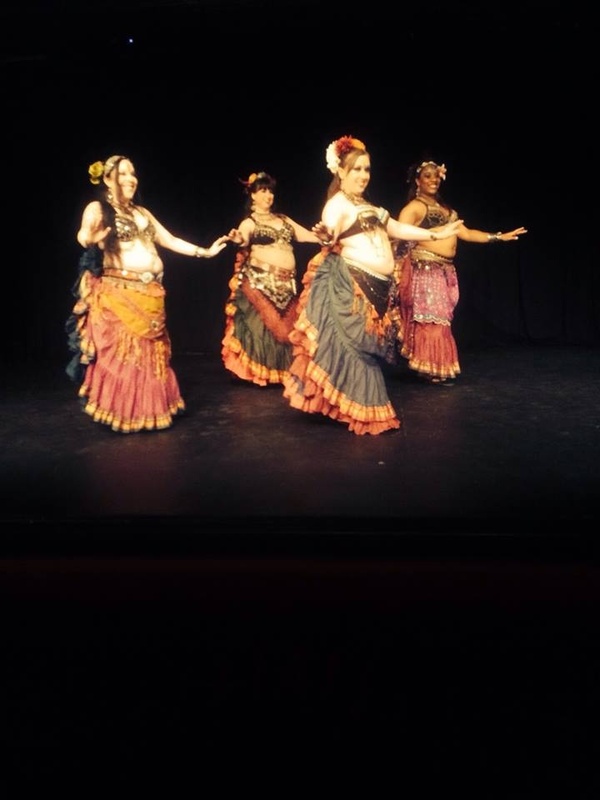 It was hosted by Bellydance Productions by Kalinka, Atlanta Fusion Bellydance, Maiea Bellydance productions and Ziah Ali. 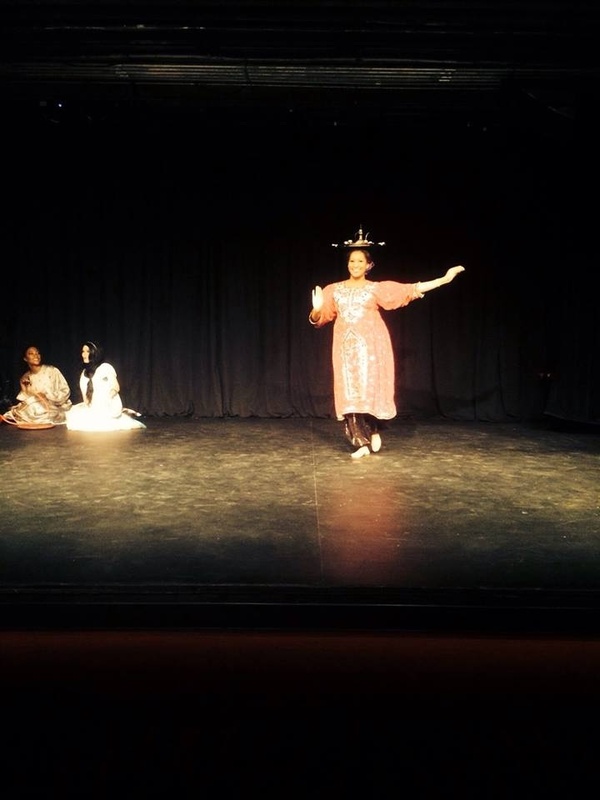 Shahrzad plus Petite Jamila and Moria Chappel were on hand in a mix of very enthusiastic and talented raissat. 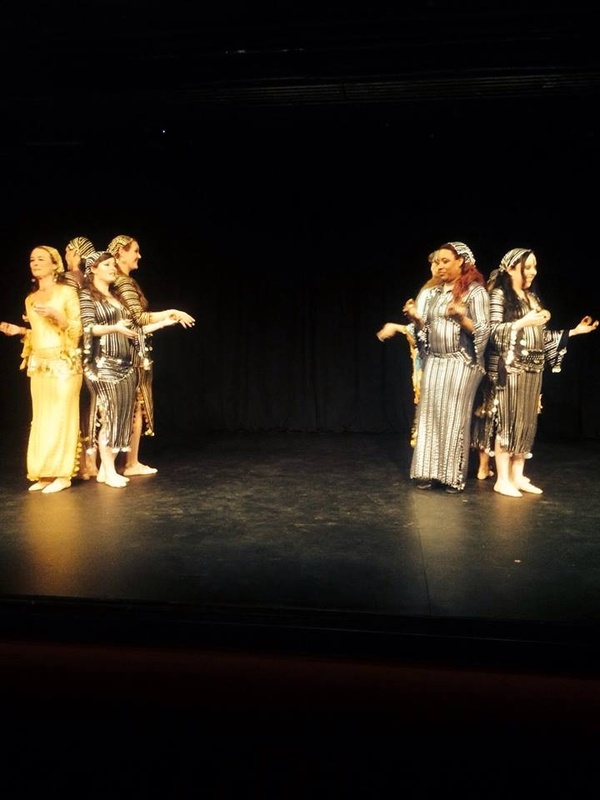 What stood out at this show was the fact that just about every area of raqs sharqi and its sister dances were featured. From the principals of the Goddess figures to Turkish Karsilama and Raqs al Seniyya (Maghreb tea tray dance), every dance had a historical reference. One of the pluses of the show was the storytelling through the art. In addition to the historical background of each presentation before the set, there were “scenes” on the stage…a cafe setting, a night club…something to give each piece context. I had personally been longing for such a show. I love a nod to our culture, it’s very important and adds so much, setting the production on another level. The costuming was very accurate and I was thrilled to see items like tribal belts from MissBellydance.com used for a few presentations. From layering bra tops and skirts to really cool classics in their choice of music, this was perhaps one of the most culturally inclusive shows of the year aside from the Bellydance Evolution program featuring Jillina and her magnificent team. I felt very at home and pleased with the growth of the Atlanta Raqs Community. They’ve always been an outstanding team and this was another example of their effort to showcase their respect for the history of the art. Our resident raissa travels to attend dance and music events like these. We’re excited that many of those big shows will continue to take place in Atlanta starting in early January. In our effort to support these teams we’ll be featuring several events on our webpage. You can check out information for the Gulf Dance weekend starting tonight night, the 17th of November. While our heart is in Atlanta we will be featuring regional raqs stars from the Middle East and Africa on our page as well. We hope you’ll click thru, register and enjoy some great shows! Let us know if you do. Thanks for reading! Enjoy the video below and get registered for Raqs in Atlanta, GA! It’s your gateway to the International community!